I read this article and found it very interesting, thought it might be something for you. The article is called Demonetisation, A Year On: In Delhi Textile Hub, Businesses Unravel, Jobs Scarce and is located at https://archive.indiaspend.com/cover-story/demonetisation-a-year-on-in-delhi-textile-hub-businesses-unravel-jobs-scarce-18325. 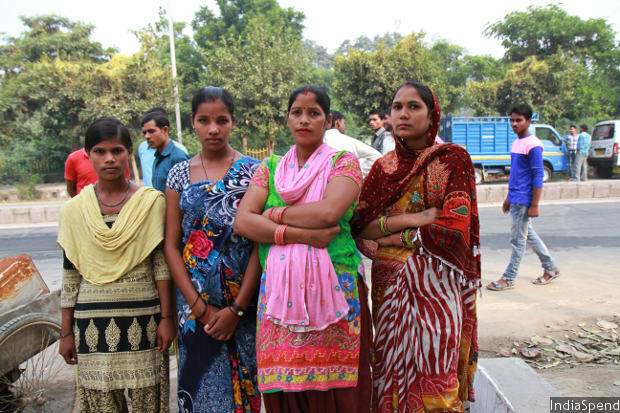 Babita (second from right) has been looking for a job as a tailor for eight months now since the last unit she was employed at shut down post-demonetisation. 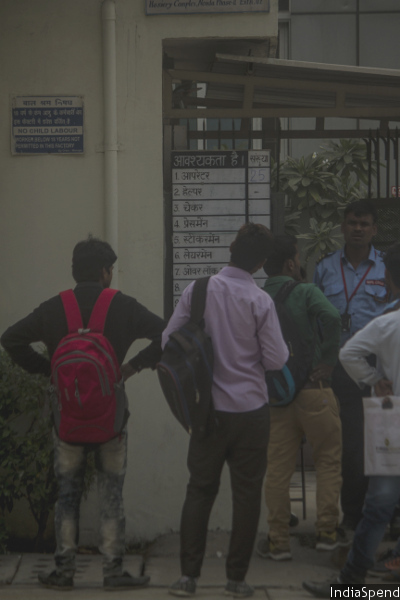 Every morning, thousands of migrant workers land up at the Noida Hosiery Complex in search of casual jobs. 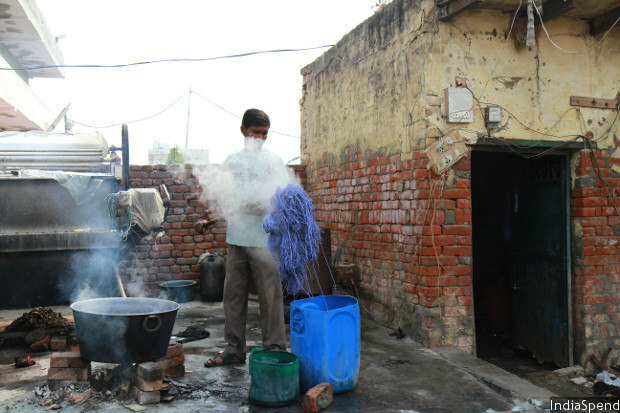 Noida, Uttar Pradesh: For the last eight months, Babita Singh has been searching every lane and bylane of the 2-sq-km spread of the Noida Hosiery Complex, here on the grimy edge of India’s capital, for a tailor’s job. She leaves home at 7 am and walks around till 11 am when, with the first shift in place, there is no longer any hope of being called into a factory. “Look, my chappals have worn thin,” said Singh, 30, pointing to her feet. Giving up is not an option. There is nothing left for her or her family of four in Bulandshahr, their hometown in western UP that they left seven years ago in search of a better life. In March this year, the small garment unit where Singh worked for six years shut down in the wake of demonetisation, the scrapping of 86% of India’s currency, by value, on November 8, 2016. There were thousands like her, pleading for jobs at the gates of around 300 factories in the complex or sitting around in groups, hoping for a job tip from passers-by. Aimed at making the economy less cash-reliant, demonetisation came as a body blow to the readymade garments sector, 80% of which made up of informal units that operated with cash and casual labour, as IndiaSpend reported in December 2016. About 1.5 million jobs were lost during January-April 2017 in the immediate aftermath of demonetisation, according to this analysis by the Centre for Monitoring Indian Economy, a business information company. There have been 35% to 55% job losses in manufacturing and trade since November 2016, according to data collected by the All India Manufacturers’ Organisation (AIMO) as the Indian Express reported on November 8, 2017. There are no clear figures on how many workers have lost their jobs due to the crisis in the unorganised apparel sector. But informal jobs, with little or no social security or benefits, constitute around 92% of all employment in India, as per government data. And the textile industry is the second largest non-farm employer in India. Singh–and thousands of other semi-literate, mostly unskilled workers employed as tailors, packers, helpers and cutters–have been hit hardest by demonetisation. They usually earn around Rs 350 for a day’s work. 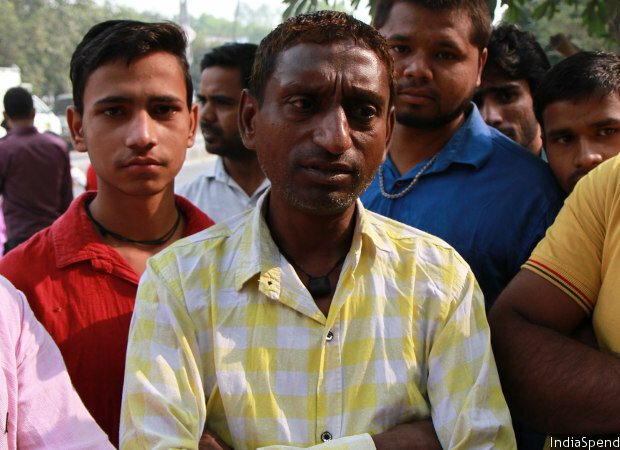 Many workers, like Yadesh Kumar (in yellow), had opened bank accounts to facilitate cheque payments but now find that there are no jobs to give these accounts any meaning. Many workers opened bank accounts after demonetisation to allow employers to make cashless payments. But with no jobs for the few thousand workers–100,000, the local reckoned–wandering the hosiery complex, there is no money to put in these accounts. Just when it seemed that cashless systems were falling into place by the middle of 2017, the complex Goods and Services Tax (GST) arrived as a second big blow. The tax system demands that companies in a supply chain are linked to one another, but it is too complex for this largely unorganised sector. “Dhandha uth hi nahin paya (the business couldn’t get back on its feet),” said a manager at a export house in Noida. The distress visible on the streets of the factory complex was evident in the wake of demonetisation, when 40% of workers reportedly lost their jobs, but now hopes of recovery are receding. This is happening not just in Noida. In Tirupur, the hosiery hub in western Tamil Nadu, too businesses are down by over 40%, the Business Standard reported on November 3, 2017. Surat, the textile centre in Gujarat, is in turmoil. And in Gurugram, at the eastern end of the National Capital Region from Noida, former garment units on prime real estate are being let out. Last year when demonetisation hit the apparel sector, it was already stressed by competition from other Asian nations, such as Bangladesh, Vietnam, Cambodia, Sri Lanka and Myanmar. The contribution of apparels to exports of especially Bangladesh and Vietnam rose 6.1% and 9.6% respectively in 2015, the Economist Intelligence Unit, a think tank, reported on February 3, 2016. Bangladesh, now only second to China among apparel exporters, is giving Indian businesses a particularly rough time. Nearly 80% of businesses in the apparel sector consist of small scale units that employ casual labour. “We are simply not productive or organised enough to deal with this competition. And then we bring in something like demonetisation and Canadian model of GST into the industry,” said a mid-scale vendor for top western brands. Speaking on condition of anonymity, he said he shut down one of his two factories with 100 machines and 150 workers last year and is now downsizing further. In the long term, he pointed out, cashless payments and GST could bring good things to the industry–formalisation of a largely unorganised sector, more transparency, less inspector raj and the corruption that goes with it. “But in the immediate future it is going to wipe out an entire generation of businesses,” he said. The apparel sector, as we said, provides work for men and women with low of no skills from primarily rural areas in Uttar Pradesh and Bihar, where their last occupation was either agricultural labour and small-scale farming. Some said they had not held down jobs for a year now. Workers like Enashi Devi are being turned away at gates by factory managers who cite GST as the reason for the downturn. “Woh bole rahein hain DST (sic) hai, naukri nahin milegi (they say there are no jobs because of DST–meaning GST). Look at the mobs of people searching for jobs, it makes me dizzy. Whether you are a man or a woman, educated or illiterate like me, there is no hope for any of us. Bura haal hai (things are bad),” said Enashi Devi, who had been doing the rounds of Noida the first day of every week in the hope of landing a job as a helper. Equally impacted are the jobbers who run the micro businesses feeding the industry. These are complex chains of small but critical enterprises such as dyeing, embroidery, printing and zip-making, all finding it hard to comply with the GST. With earnings between Rs 30,000 and Rs 50,000 a month, they are struggling to make sense of it all. Nayagaon, a shanty that is part village and part city, off the Hosiery Complex, houses Durga Dyers. This two-man operation runs out of a room next to a buffalo stable. Its owner, Anil Bansal, is a “local” dyer–someone who can dye small bits of fabric or yarn, the kind of assignment no big business in dyeing will take on. Small feeder businesses like this dyeing unit running out a one room tenement in Nayagaon, off Noida Hosiery Complex, are finding it hard to deal with the complexities of GST. He earns around Rs 50,000 in the peak season and has just acquired a GST account. But he cannot handle its complexities since he is not computer literate, so he now hires the services of an accountant. “It is tough but we are managing somehow,” he said. Not many can afford an accountant’s fees–anywhere between Rs 5,000-Rs 10,000 on average–on such profit margins as small as Rs 15,000-20,000. They opt instead for cash payments to work around GST. “Capital is getting blocked like this because it is hard to claim returns when the entire supply chain is not GST compliant,” said Thukral. To add to the crisis, the sector is furious with the government decision to slash the duty drawback on exportable garments from 7.5% to 2% from October 1, 2017. This drawback is a relief given to businesses by way of refund of custom and excise duties on inputs used in manufacture of exported goods and it allowed the garment industry to stay competitive. Thukral predicted the closure of another 20% units in Noida if the industry does not rally around to take orders for the next season. 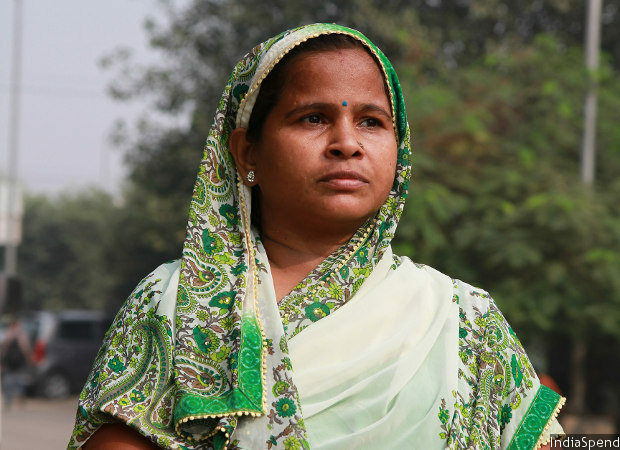 “Iske baad toh bas ek hi kaam rah gaya hai–haath mein katori leke bheek mangna (there is only one alternative left after this, to beg),” said Singh, the job seeker we met at the start of this story, as she gave up her search for the day.